Eucalyptus oil can give you the soft, blemish-free skin you so desire! The oil is largely used for first-aid purposes due to its vast remedial and healing properties. It is used for the treatment of cuts, minor wounds, blisters, and bruises. Application of the oil also heals skin irritation and insect bites. Especially appropriate for skin eruptions and oily complexions, it is also used for herpes, acne, and chicken pox. For an effective homemade remedy, mix eucalyptus essential oil with an equivalent amount of apple cider vinegar and dab on the problematic areas. 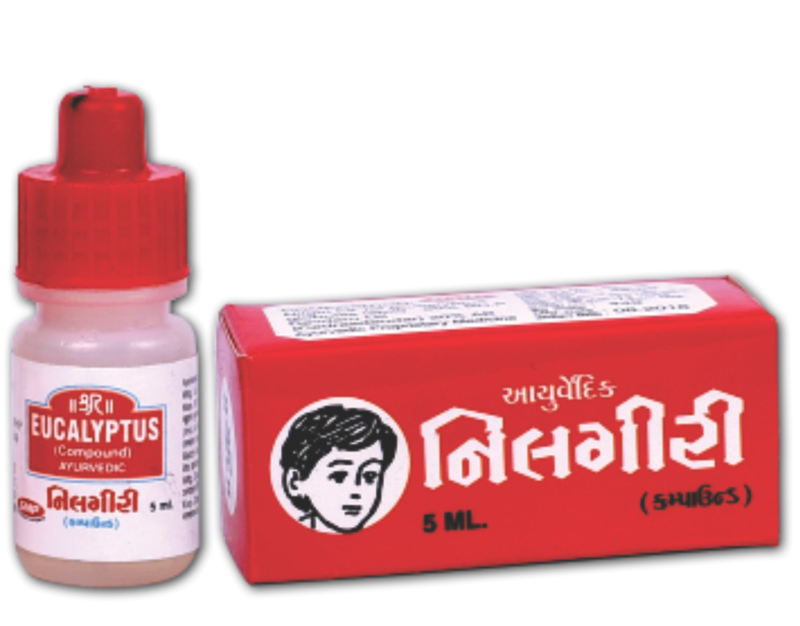 This mixture can also be used as an antiseptic on boils, wounds, and insect bites (1). Many aromatherapists use eucalyptus oil for their remedies. The inhalation of the sweet-smelling oil helps relax the body. You can add a few drops of the essential oil to a hot bath. The steam and the aroma will help you calm down. Eucalyptus oil isn’t water soluble, and you will need to mix it with a dispersant before you add it to the water. Whole milk or bath salts are the best dispersants for eucalyptus essential oil. Eucalyptus oil can be used in relaxing or therapeutic massages. Just add few drops of this essential oil to coconut or almond oil and apply on skin with a gentle rubbing motion. Eucalyptus oil can be used to treat shingles. As eucalyptus essential oil is an antiviral and anti-inflammatory agent, it can help ease the pain caused by the rash due to its strong analgesic properties. You can either add it to a warm bath or use it in a hot compress on the rash. It can do wonders to your hair too. Keep reading! Eucalyptus oil improves shine, thickness, and overall health of your hair. However, too much use can actually reduce the shine and result in a greasy scalp. Most experts suggest using eucalyptus oil for the hair an hour or so before bathing, and then using a good shampoo to remove the residue, followed by a good conditioner. To relieve an itchy scalp, combine the above ingredients properly. Rinse the hair several times over a basin with the solution to ensure even distribution. Immediately shampoo and condition your hair to get instant relief. Add eucalyptus oil to your regular shampoo in the ratio mentioned above (for example, in 60 ml of shampoo mix 6 ml of eucalyptus oil). Shampoo hair and cover it with a plastic shower cap for 10 minutes. Remove the cap, rinse hair and towel dry it. Comb hair with a fine tooth (nit) comb to help remove the eggs. Eucalyptus is naturally minty and quite camphorous to taste. However, its dental uses aren’t limited to minty fresh breath. It can treat cavities, gingivitis, and even dental plaque. Its germicidal characteristics help make it an effective tool to fight dental problems. These characteristics, combined with its naturally sweet smell, make eucalyptus oil a go-to drug for dental problems. Massage a few drops of eucalyptus oil on the chest during an asthma attack or inhale the aroma directly to breathe better. Massage the oil on the chest, back and throat, or inhale from a bottle, or drop the oil on your shirt collar to get instant relief from Bronchitis-related symptoms. In order to get instant relief from nasal congestion, inhale a few drops of the oil. This will not only help clear the nasal passage, but will also make you feel rejuvenated. Yes, eucalyptus oil even cools the body down! During the hot summer months, heat strokes become commonplace. In case your body needs immediate cooling down, just place a few drops of the oil along with some peppermint oil (optional) in a bottle and spray it all over the body. Your body temperature will instantly start to fall. Eucalyptus oil is extremely beneficial in alleviating conditions like coughing, sneezing, blocked nose, etc. (1). The oil has been used in a variety of forms for centuries to treat different ailments, including wounds, fevers, and respiratory ailments. Flu virus and cold are the main reasons behind lung congestion and sinus problem. This is where eucalyptus oil can make a great deal of difference. Eucalyptus oil, when used topically, loosens the congestion and provides immediate relief from cough and cold symptoms. And there’s more. Many health experts advise using the drops of peppermint, bergamot and eucalyptus oils together in the steam to dilute the congestion causing mucus (2). Steam makes it easier for you to breathe, and the essential oils easily enter your body to open up the tightened bronchial passages. They also penetrate deeply to eliminate the problem causing bacteria or viral infection. The combination of lavender and eucalyptus works best in opening up the bronchial passages. Studies have proved that just 2% dilution of the eucalyptus oil can kill 70% of the airborne staphylococcus bacteria (3). The oil, along with anise and peppermint, reduces coughing by suppressing the cough reflex of the brain. To treat a runny nose and loosen severe congestion, combine cypress oil with eucalyptus oil in equal proportions and apply on the chest, nose, forehead and the back. Make eucalyptus tea by adding dried leaves of eucalyptus along with a few drops of eucalyptus essential oil. Boil water and add a green tea bag to it. Simultaneously add eucalyptus leaves and oil and cover for around 15 minutes. You can add honey to enhance its taste. Sipping this tea thrice or five times a day helps to treat congestion and cough. Children should be given three cups of tea all through the day. Make fresh tea every time and drink it hot. Because of the vasodilation, using eucalyptus oil daily can increase circulation in diabetic patients. You can also massage eucalyptus oil onto the body, along with some lotion after each bath, as the massage helps increase the blood circulation. Massage a few drops of the oil over the abdomen in a counter-clockwise direction in order to ease diarrhea, inflammation, and to fight infection. Never put essential oil directly into the ear cavity. However, you can easily massage the oil around the outer ear for relief. Kidney stones can really bring a person down. This painful condition can be debilitating. Thrice in a day, massage 1-2 drops of the oil over the afflicted area to get some relief from the unbearable pain. But if the pain persists, seek medical advice. Diffuse eucalyptus oil throughout the home till the illness lasts and also massage a few drops of it into the reflex points of the feet. Repeat this for at least 2-3 times a day to get good results. Eucalyptus is a natural analgesic. It also boasts of anti-inflammatory properties that make it an effective medicine for external pain. Patients with arthritis, ligament and tendon sprains, fibrosis, nerve pain, and muscle pain use eucalyptus oil to alleviate pain. Massage a few drops of eucalyptus oil evenly over the affected area to ease the pain. Remember to massage towards the heart, in order to move the lactic acid build-up through the lymphatic system. Eucalyptus oil fights bacterial infection, clears the lungs, and reduces inflammation. Massage 2 drops of it onto the chest and on the back for better results. Note: Never depend on a home remedy to treat a serious disease like tuberculosis. These home remedies should be used along with conventional medicines. Eucalyptus contains cineole, a natural antiseptic. Eucalyptus essential oil can be used to treat a myriad of medical disorders. On contact with air, it forms ozone. Ozone is an excellent antiseptic, and thus, it is used to treat ulcers, abrasions, sores, cuts and burns. It also helps treat insect bites and stings. Its antimicrobial activities help arrest the growth of new germs, while treating the wound. Eucalyptus is one of the best home remedies for superficial injuries. Eucalyptus essential oil is a vermifuge. It flushes germs from the intestines. It has been proved that ingesting a small quantity of eucalyptus oil deters microbial, bacterial and parasitic conditions in the body. It is especially helpful in treating some vulnerable parts of the body like the colons and intestines. Those were great, weren’t they! But there is something far more important than the benefits of eucalyptus oil. The side effects – knowing which is as important as the benefits. There cannot be a Ying without its Yang. In the world of cures and remedies, Ying and Yang represent benefits and side effects. Eucalyptus essential oil is no exception. You need to exercise some caution while using it. How can you identify someone who has had the ill effects of eucalyptus oil? Are there any signs? Well, there are. If you notice the following symptoms after using eucalyptus oil, stop and rush to the doctor.